As Franciscans, our most important apostolate is to live the life of Gospel in poverty, simplicity and spirit of joy. Besides practicing the apostolate of good example, St. Francis preached and sent his brothers to preach the Gospel. He also fostered the apostolate of prayer for the salvation of men, for he was fully convinced that God alone can open the hearts of men to heat the Gospel. Being convinced of the sublime duty of apostolic services, the sisters of FCC Nirmalrani act in the spirit of dedication. Evangelization and faith formation is one among the main ministries of FCC Nirmalrani sisters. They serve the people with the Vicar along with the Parishners and other spiritual associations in the parish. The sisters teach catechism to the children in the Church catechism classes. They work among the youth, adults as well as with the old age people in the community. Sisters are able to deepen youth in a life of faith and guide them to grow with morality through organizations like K.C.Y.M, Jesus Youth, and C.M.L. etc. Classes are given to youth on value-based education and life. The value of life, soul, the firmness of family life etc. is conveyed to Youth through Pre-marriage Guidance Courses. Attention is given to participate the youth in all activities of the parish. The Convents in the Province are divided in to four zones and the members of each zone gather in a convent for zonal intercessory prayer for the whole world. In addition to that, half an hour per week is devoted for intercession by the sisters. Adoration of the Blessed Sacrament is going on in the Provincial House every day from 8.30 a.m. to 12 noon and adoration is conducted for the whole day in the Palliative Care Centre. Sisters from various houses assemble in the Palliative Care Centre to spend a week in prayer and meditation. Sisters sincerely use this golden opportunity to deepen in personal intimacy with Him and be an intermediary before Jesus for the people. FCC Nirmalrani province has four trained sisters in gifted counseling and ten sisters have attended various counseling courses at different places. Sisters who are engaged in School counseling, counsel the students once in a week in the School allotted for them. They give necessary guidance to the students and conduct the follow up sessions. There is opportunity to talk with the sisters in their homes as part of Family Apostolate programme. Sisters provide facility for counseling for children and adults in association with Madona Retreat that helps to lead the laity to peace and spiritual freedom. FCC sisters dispense their inevitable and valuable services in 17 parishes of Idukki Diocese. Sisters are able to attend the spiritual needs of parish members and lead them to virtues by giving necessary instructions and encouragements. They lead people towards God by participation in family prayer gatherings (Kudumbakoottazhma), Mathrudeepthi, Pithruvedhi, Vincent DePaul, awareness classes, counselling etc. Sisters try to be with the children through organizations like K.C.Y.M., Jesus Youth, Holy Childhood etc. and conduct programs like seminars, classes, meditations, counselling etc. and make them aware of the holiness and value-based life which children lack now-a-days. Sisters sincerely co-operate in the training of Altar boys, Altar decorations etc. along with priests. Sisters try to be among the people through house-visit of sick persons, participation in funerals etc. Family Apostolate ministry play an important role in maintaining the physical, mental, social, economic and spiritual wellbeing of the people. In this advanced era there is only limited number of children born and brought up in the families. The wide spreading of worldly attractions in life and living also cause a greater reduction in vocation to religious life. Nirmalrani Sisters sincerely work for the encouragement of faith formation and vocation promotion. There are one fulltime vocation promoter and four assistants for her in the Province. In addition to this, there are vocation promoters and zonal leaders in convents. They assemble once in every three months and form relevant action plans. They say Rosary of All Saints every day and keep continuous contact with the children. A spiritual garden is formed in FCC based on the Virtues of St. Alphonsa to give inspiration to children to know and follow St. Alphonsa. It also aims at cultivating the spiritual virtues of St. Alphonsa in children. Realizing the fact that the Grace of the Religious Community and the fruitfulness of Apostolic Activities rely mostly on the qualities of its members, special care is given to the selection and training of religious candidates. We are thankful to God Almighty for providing adequate facilities like formation houses and qualified formators necessary for various levels of the religious training in Nirmalrani itself before her decennial celebration. The training program includes action plans with focus on Idukki locality including the local and cultural scenarios. At present there are 40 religious trainees in various levels of training in Nirmalrani Province. The sisters are given theoretical and practical formation in order to enable them to carry out the apostolate efficiently, according to the needs of the time. Madona Retreat is a gift from God Almighty to Nirmalrani Province. 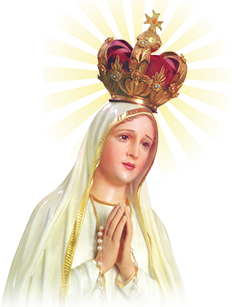 This retreat is intended to renew the families through meditating on the virtues of Holy Virgin Mary. It mainly focuses the mothers and children of the parishes. The retreat team formed under the auspicious guidance of Rev. Sr. Suguna the Provincial Superior in 2011. A team of sisters prayed together for months for the anointment of Holy Spirit and the first Madona Retreat was given from 24th to 26th January 2012 in the Parish of Pachady, Idukki. Before each retreat the sisters as a group visit the families of the Parish through Home mission. Sisters prepare them for the retreat by giving prayer cards and praying together with the family members. This retreat programme includes classes, prayer and worship, Holy Mass, the sacrament of reconciliation and counselling. The participants of the retreat witness that this retreat has renewed their lives and they have received showers of blessings from Jesus through Mary. 1.2.Assisi Special School Vellayamkudy: a school for mentally challenged children. We are running special schools and rehabilitation centers for the care of physically and mentally challenged children. Assisi Special School, established in 1993, at Vellayamkudy.Now there are 105 mentally challenged children getting our service from this Centre. The final objective of this school is to integrate them to the main stream of the society. Vocational training such as tailoring, envelope making, craft work and horticulture is imparted to children of the Special School.Apart from this we are running Nurseries and Day care Centres also.